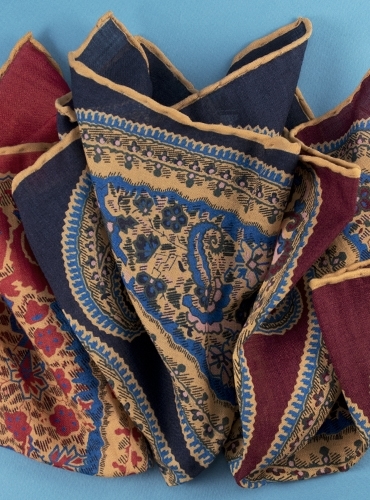 Printed wool and silk pocket square with a large paisley motif. Measures 14" x 14". 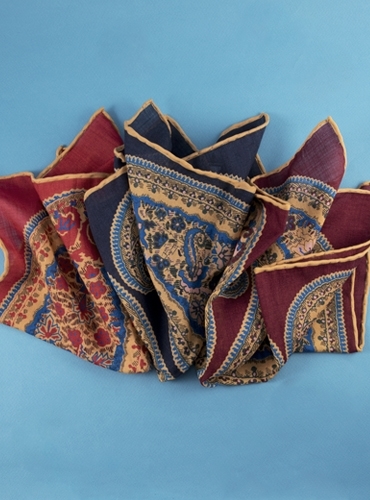 Shown left to right, C-ruby; B-navy; A-burgundy. 70% wool, 30% silk. Made in England.